Thanks to all of you who are contributing data. We are very grateful and the data you are sending is fantastic. We continue to compile all of the data we receive on the website or by mail on a spreadsheet that lives in google docs here. We should soon be able to have a way for all of you to text us your observations (we will let you know when that is finally set up). In the meantime, enjoy these beautiful pictures! 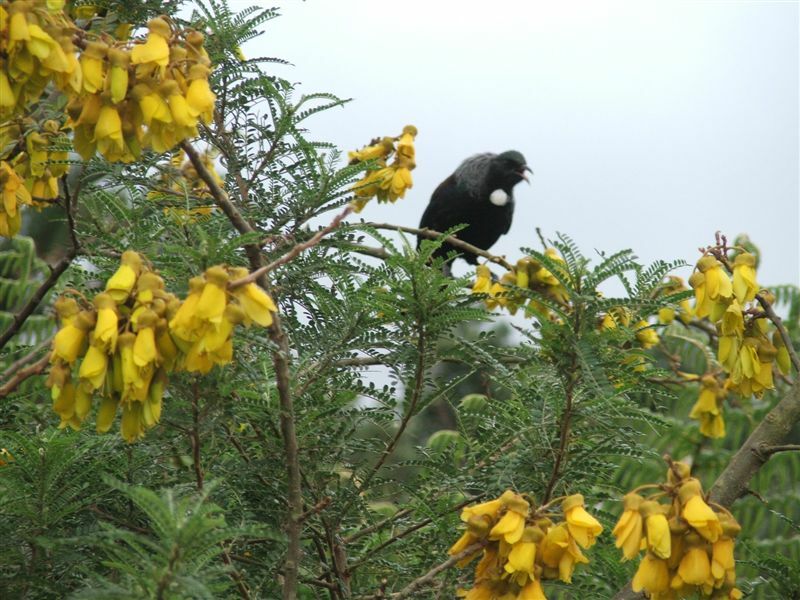 Judy told us that tui often come to a flax plant near their picnic table, one at a time. But sometimes a second one will fly in and scare the first one away. 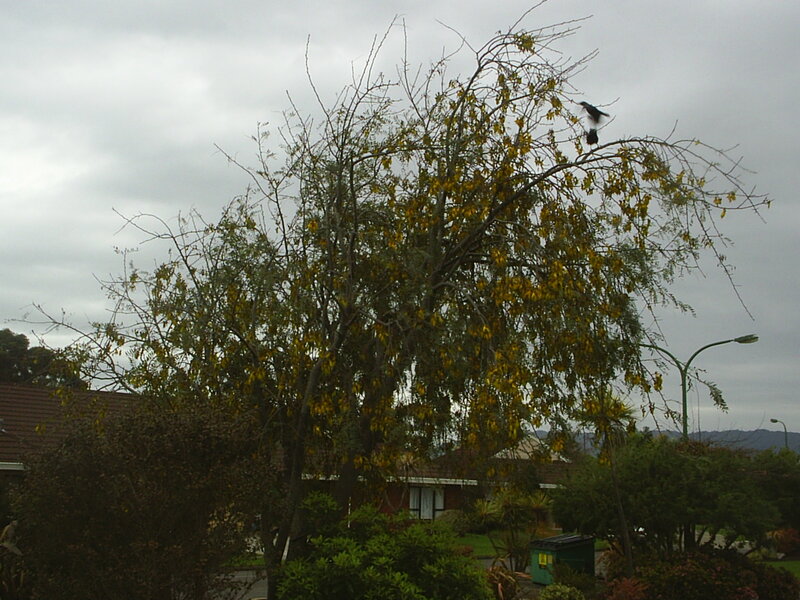 Eileen told us that there is a great population of Tui in the Kapiti coast, and they even named one Tama, who would come to feed and sing early in the morning. +After being without our Tuis (especially Tama) for a few months, we have them back in our Retirement Village in Paraparaumu Village on the Kapiti Coast. They are enjoying the first Kowhais in blossom and we are looking forward to seeing Tama lording it in the top of our adjacent tree as soon as it blossoms.